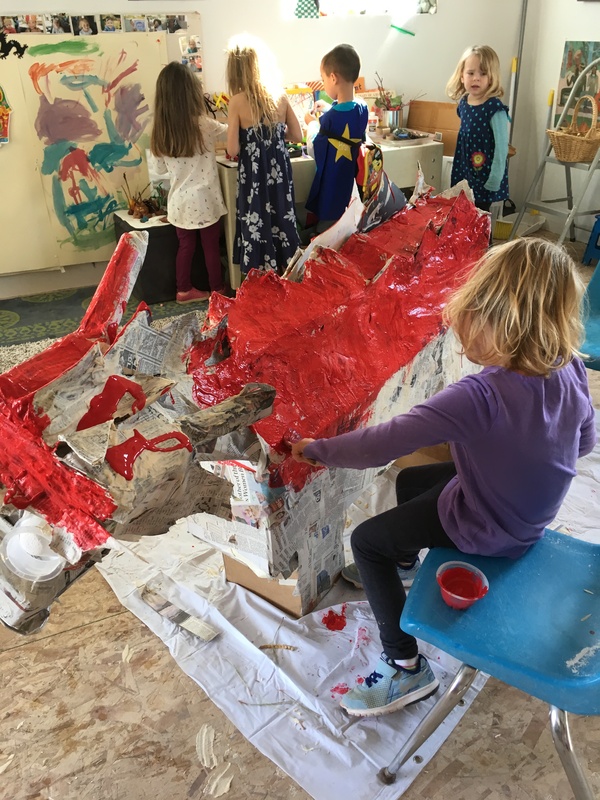 We have been working hard to figure out how to balance the dragon, cover the dragon with texture, and paint the accent colors on the dragon. It is all red now, next comes yellow and gold, and the face. The children are still excited to work on the dragon. We are behind on our BIG MONTHLY projects, because each project has extended over the amount of time I thought the children would be interested. Next is Tim Dine Large HEARTS, I hope the children will still want to do them, even though valentines will be long gone. We had to work hard to figure out how to balance the dragon we decided on two long flat boxes to help balance the size of our dragon body box. Now we have been painting, it is an ongoing project that the children look forward to each week. We use big latex house paint brushes. The Art Studio,”The Nest” has been open about a month now. 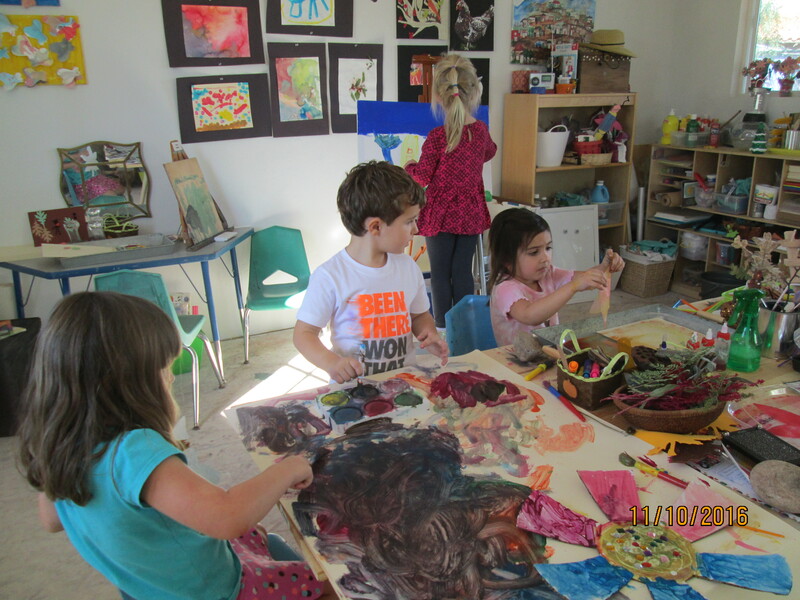 The children are figuring out that they direct the garden, the art, and the process of what occurs in the studio. They now ask to come out to the Studio with me , even the 2 1/2 year olds. 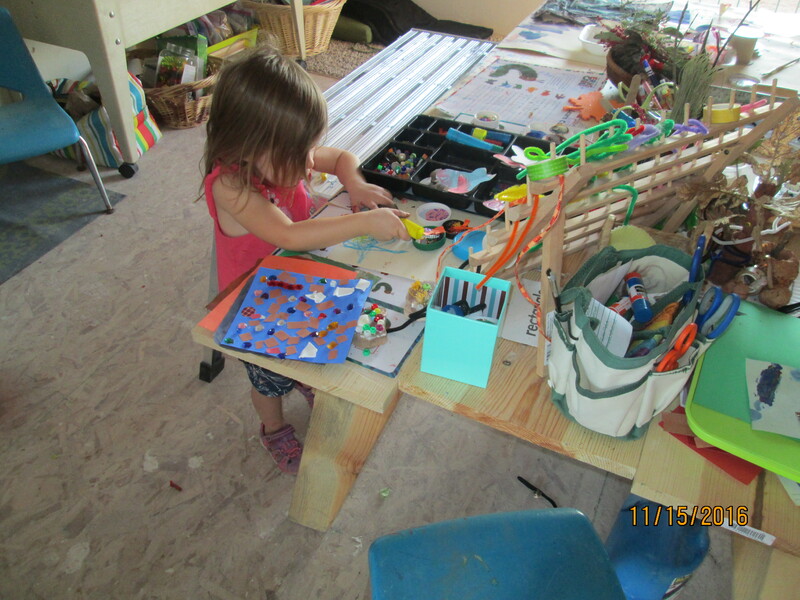 It is certainly more difficult for some children to come up with creative ideas , glue, cut, color, paint, or build. They don’t know HOW to think of unusual ideas, it becomes frustrating and overwhelming an interesting phenomenon. Some children need a lot of direction from me, a lot more time, some ask to leave to go back to the regular class room, some however, are learning to feel comfortable creating. Most students LOVE the space and realize it IS different. They are aware of the different rules and that their ideas are important. 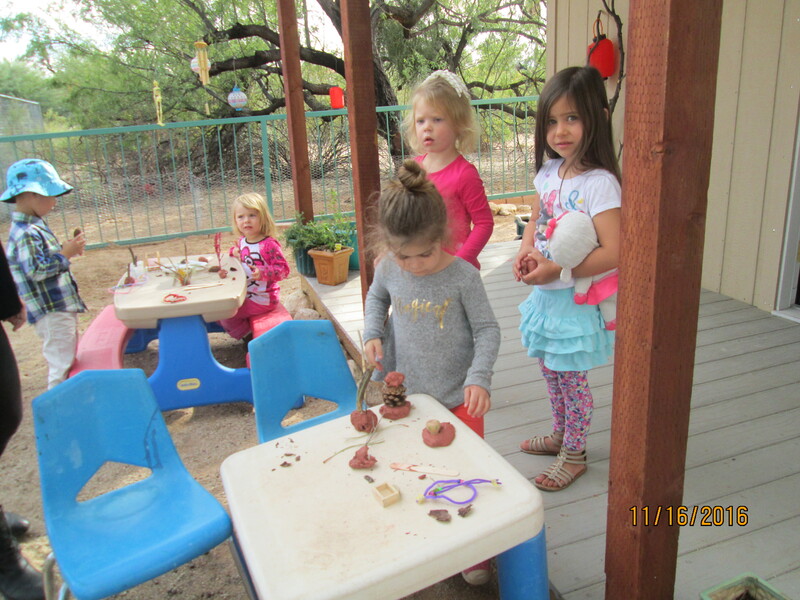 Yesterday, they ask for clay outside to make trees with sticks, stones and leaves. They migrated inside to draw and paint. They are beginning to create all types of ART. They are building confidence. 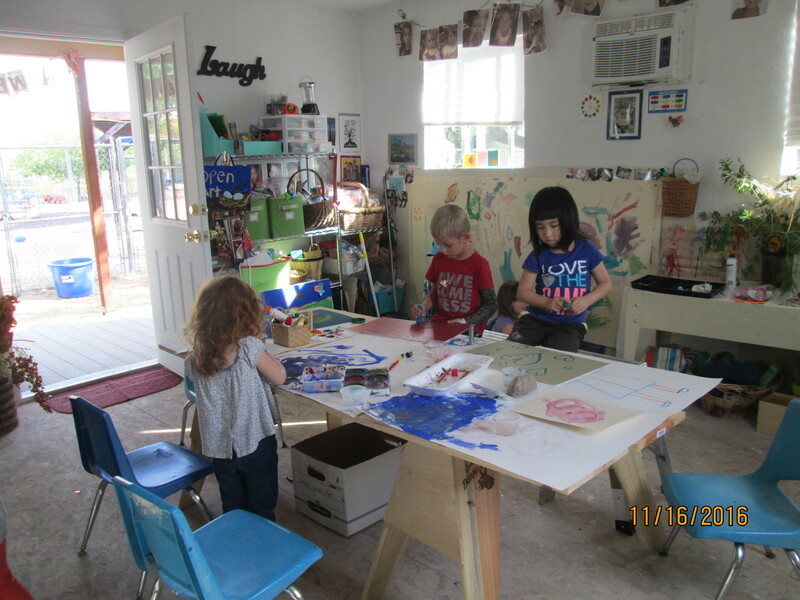 NURTURE CREATIVITY- Reinforce social communication of creative behavior, Construct things, Investigate materials freely, Allow expression to happen. Develop creative thinking habits and patterns in young children early. Two teaching methods to STOP: Elimination of fantasy play, and Educational practices that emphasize learning only what is taught by a teacher. Teach flexibility and solving problems creatively. Generate innovative ideas. These children will go up to be a creative workforce for future jobs. Is ART just a messy project? OR IS ART REALLY A CLEVER WAY OF TEACHING across all domains? What if you could just each children to learn because it is fun? Would having fun help the child really learn academics? 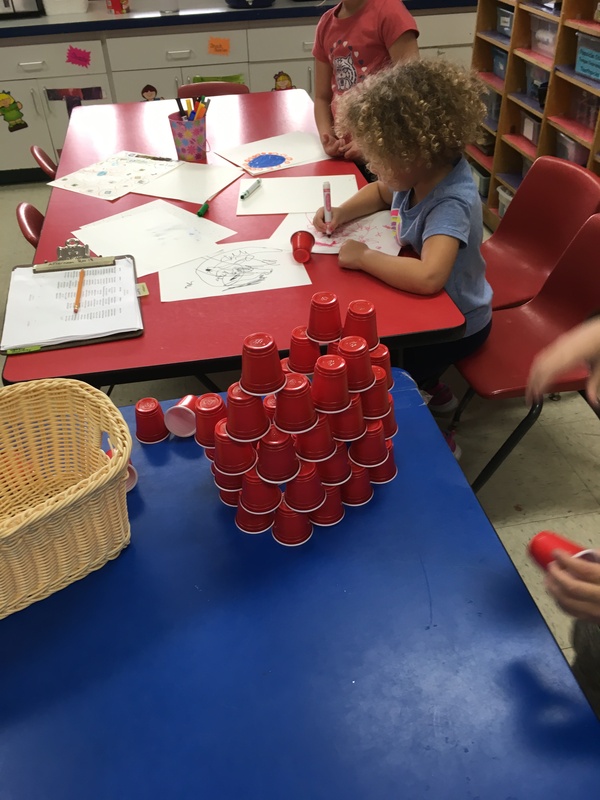 Reading , writing, , Math-quantity, shapes, sizes, engage the child to complete a task, problem solving, creative thinking- WOW , that’s a lot of academic ideas! 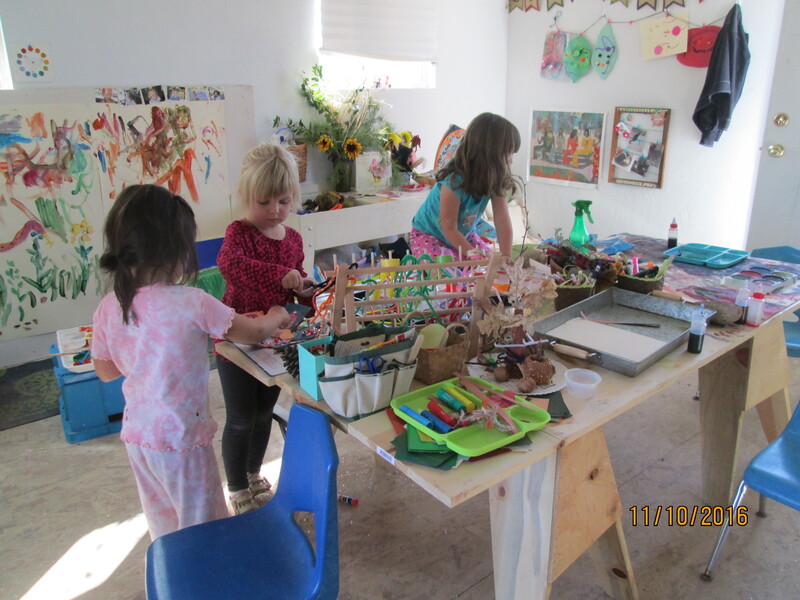 Here you can see the children are all self directed because of carefully placed ideas, supplies and experiences. Judge for yourself. It is getting close to Easter this little girl talked a lot about her family and finding eggs. She is 4, she can’t write a story, but she certainly drew a story telling with great ideas. We went on a nature walk AND MADE COLLECTIONS, the first child is formulating ideas about nature. The second child is cutting materials for his nature sculpture. What IS this child studying about the map? What makes it so interesting? Children love new things with adult like ideas. Maybe he is looking for a pirate treasure. 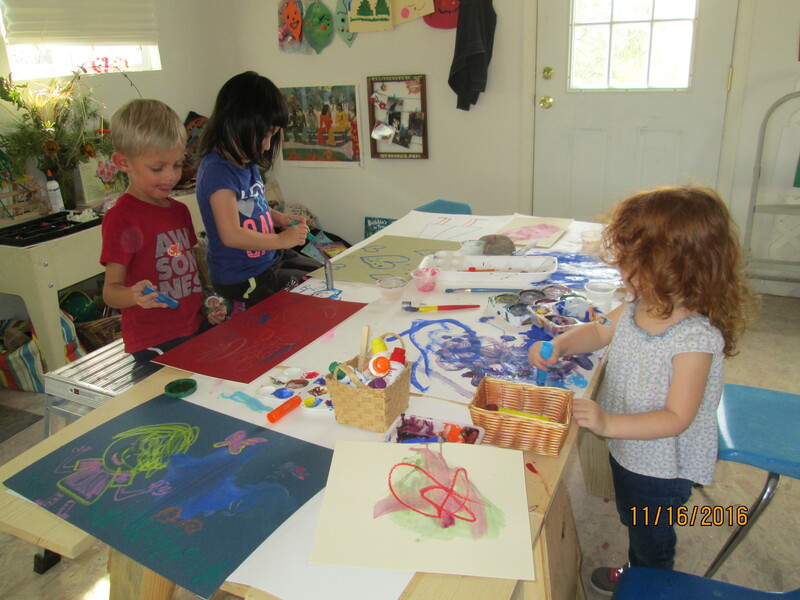 Art is self directed and allows the child to think on his own.